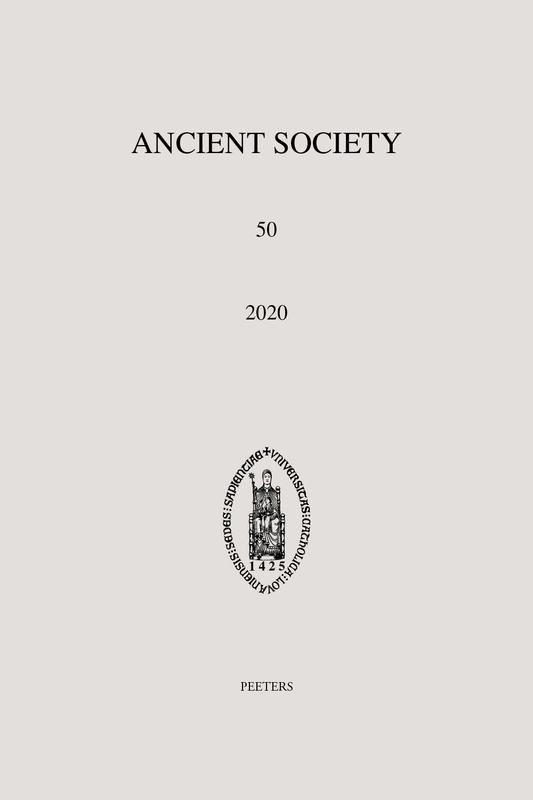 Ancient Society is an annual journal founded in 1970 by the Ancient History section of the Katholieke Universiteit Leuven. Its main objective is the study of the society of the Greek, Hellenistic and Roman world in all its aspects, including the relations with peripheral peoples and cultures. Other regular features are the publication of new source material (papyri, inscriptions) and contributions on ancient historical writing. Ancient Society is abstracted and indexed in L'Année Philologique; International Bibliography of Periodical Literature on the Humanities and Social Sciences / IBZ online; ERIH PLUS (European Reference Index for the Humanities and Social Sciences); Scopus. Ancient Society is a peer-reviewed journal. Ancient Society publishes a Supplement series of books. The aim of this series is to provide an opportunity for publication of more substantial works of monograph length and collective works on particular themes.